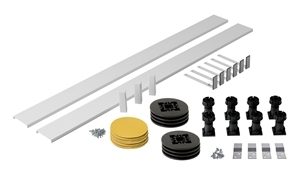 Add Flexi Upstand Kit ? You will earn 138 points which is the equivalent of £1.38. 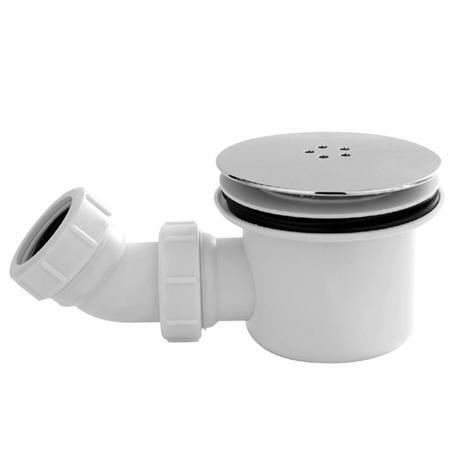 FREE 90mm HIFLOW Waste included. 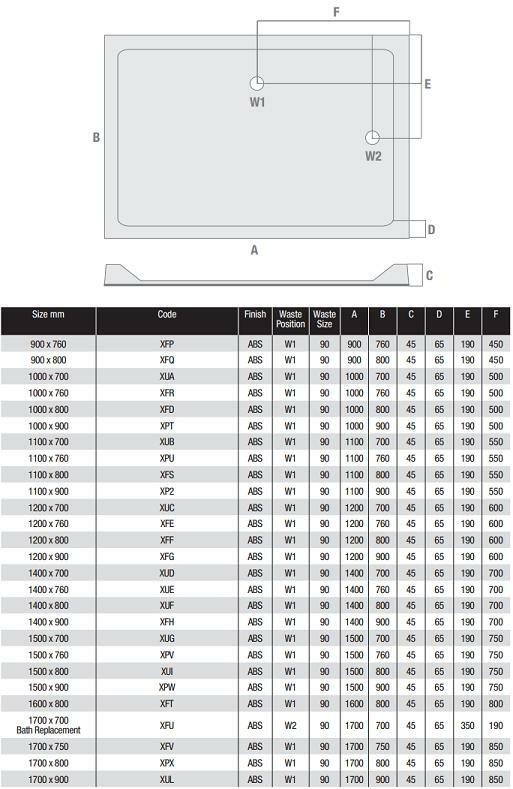 Made to British Standards BS6340/5 in an ISO 9001:2000 approved factory. 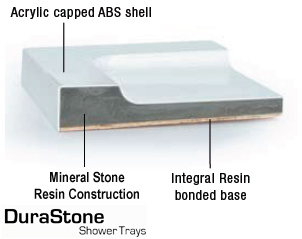 The Durastone 45 has an Acrylic Capped ABS surface with a durable mineral stone resin infill and an integral baseboard, which will also accommodate the Easy Plumb panel set. 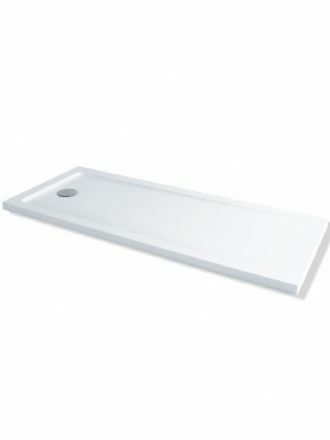 The resin-bonded board also acts as a stress support board when used as an Easy-Plumb option. The feet are attached directly to the tray. 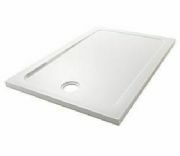 We apply an industry leading high performance slip resistent compound to the surface of our anti slip trays. 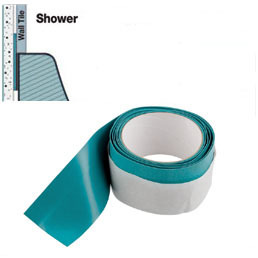 This helps combat the risk of slips and falls in the shower. The Anti Slip surface is both durable and stylish as well as being comfortable under foot. 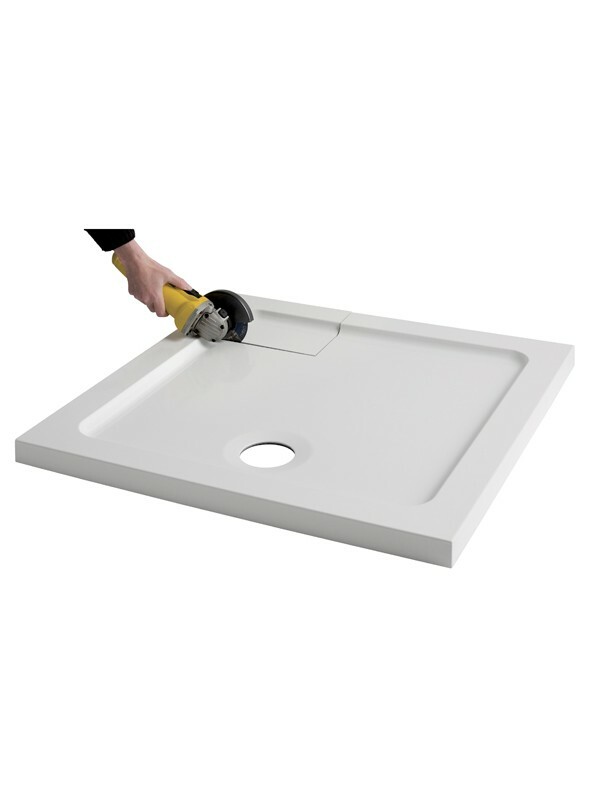 The universal kit enables this tray to be converted to a raised installation. a full stress support across the tray. This Essentials Pacific Sliding Shower Door has a beautiful polished chrome finish. 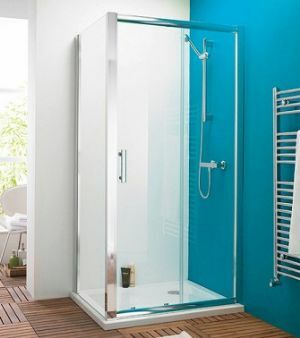 With a range of sizes available this sliding door is ideal for any size or shaped bathroom. Made from 6mm toughened glass, and fitted with quick release wheels for easy cleaning, make this item feel safe and easy to use. This elegant door is ideal to be set into a recess, or integrated with a side panel to form an enclosure. 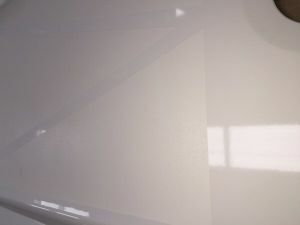 This MX Flexiseal product is a professional waterproofing solution applied by hand to the wall facing sides of shower trays prior to installation.